The REM logo, deigned by Lisa Wheeler in 1995, says many things. Hands represent our willingness join hands and work together. Palm up refers to REM’s openness and welcoming spirit and to our phrase “catch the dream”. The overlapping of the hands symbolizes our collaborative spirit. The eight hands represent the eight community priorities. The flower-like image signifies the beauty or magic that happens when we join hands, share our ideas, and create a new commonly-held vision that is more than the sum of its parts. “Catch the Dream” refers to the “Mid-Maine Strategic Vision for the Year 2020” which is the foundation for all of REM’s work. The Dream Catcher, designed by Kico Passalacqua, closely related in pattern and meaning to our logo, was first used by our founder, Faye Nicholson, who was named the Dream Catcher in 1995 to describe her one-on-one meetings over a one year period with more than 300 men and women of our community. From those meetings “The Dream” was compiled incorporating the ideas they had shared with her. When no one’s dream conflicted with anyone else’s, she began to dream of a process which would allow people to gather, create a commonly-held vision, and then provide support for the people who would work to manifest the dream they created together. REMnet, the computer internet communication system based on this site, links more than 50 REM Partner organizations with the community and is signified by this Dream Catcher symbol. REM is about being different...taking a path others have not yet explored. This makes communicating who we are difficult. One way we share information about who we are is by using symbols that are familiar. The goose is REM’s mascot and helps us describe our principles and values. We hope always for REM to be learning from the animals and nature…like the bees and the geese who work so very well in community. Their feats are amazing and we have much to learn from them. 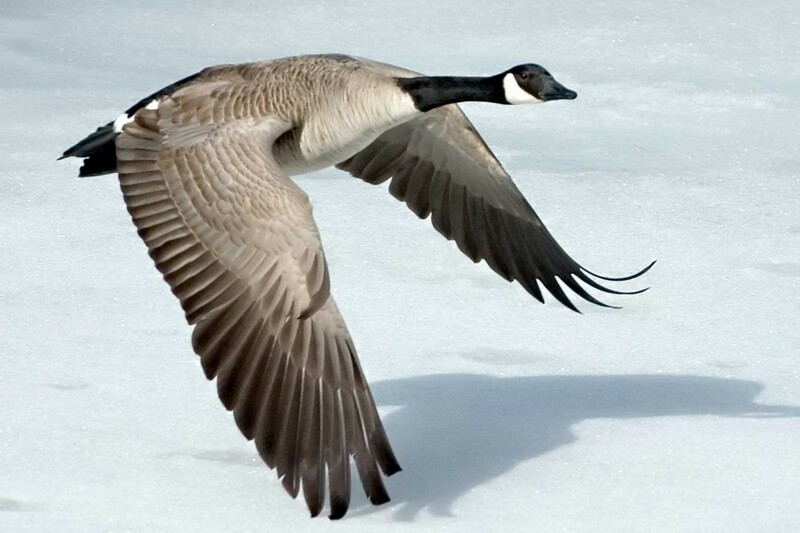 As each goose flaps its wings, it creates an updraft for the birds that follow. A flock of birds can fly 71% further than any one goose can fly alone. Lesson: If we work together, we can do so much more! The lead goose is called the point goose. When the point goose tires, it drops back into the formation and another goose flies to the point position. Lesson: It pays to take turns doing the hard tasks. We should respect and protect each other's unique arrangements of skills, capabilities, talents and resources. In a community that works well together, it's okay to take the lead because when you tire, someone will be there to pick up the lead. In REM, we call those who take their turn to lead, Point Partners. That’s you and your co-chair! Why two? Because one must be a dreamer and one a doer. If one is both a doer and a dreamer, the other can be either. We believe that to be a perfect balance to lead a group. And if for some reason you are temporarily unable to lead, your Point Partner will be there for you. The geese flying in formation HONK to encourage those up-front. Lesson: We need to make sure our HONKING is encouraging. In groups where there is encouragement, production is much greater. Individual empowerment results from quality honking. When a goose gets sick, two geese drop out of formation and follow it down to help and protect it. Lesson: If we are to serve community, we must first serve each other. The strength of the team depends upon our caring service to each other.